LG has reportedly decided to take a different path with its latest smartphone in the hope of gaining an edge in price competitiveness, amid heated competition in the industry with Samsung and Apple unveiling their latest products. According to sources in the telecom industry, LG Electronics will offer its latest V30 smartphone for under 1 million won ($882.6). The 64-gigabyte model will cost 949,300 won, while the 128-GB model will be priced at 998,800 won. It had been expected that the V30 would be priced slightly over 1 million won, considering that the series features the latest application processor and organic light-emitting diode displays. LG reportedly chose to set a lower price to maximize demand. It will start preorders for the V30 on Thursday and officially launch the new phone on Sept. 21. Meanwhile, Samsung Electronics kicked off preorders for its newest Galaxy Note 8 smartphone Thursday with a price tag of 1.09 million won for the domestic market, making it the most expensive smartphone by the tech titan so far. The first shipment of the new Samsung smartphones will begin Friday. Mindful of the V30’s competitor Galaxy Note 8, Juno Cho, CEO of the smartphone business of LG, had said that the company was considering measures to come up with a competitive price for the V30. 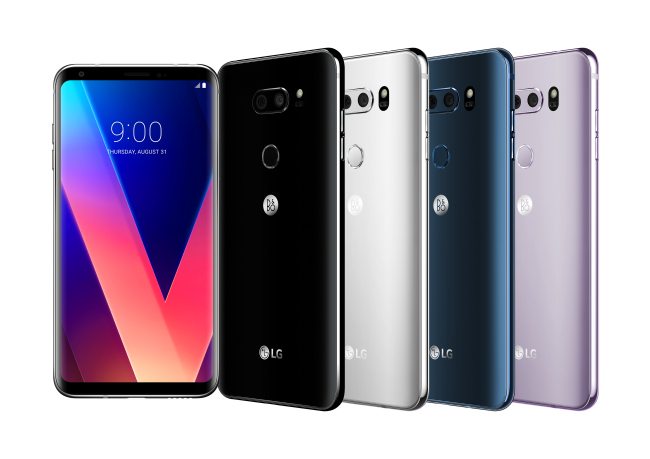 “Rather than early adopters or avid tech fans, we are targeting a wider segment of general consumers who seek particular values in LG phones,” Cho said at a press conference in Berlin after unveiling the V30. LG seems to be seeking to win over customers by rolling out the new smartphones at a cheaper price than many had expected. It is not an exaggeration to say that LG is betting the fate of its smartphone business on its latest model. The company has posted losses in its smartphone business for the past nine quarters in a row. In the second quarter of this year, it saw a loss of 132.4 billion won.